Energetic Science Ministries Discussion about Enegetic Science Ministries, Spirituality, Consciousness and other topics relevant to our mission statement. Has modern cosmology, physcis and astrophysics stagnated? Has it dead-ended in its efforts to find a grand unification theory? Is there an overhanging weight of ad-hoc theories that is ready to collapse? Is there a philosophy driving science that is essentially corrupted by an incorrect worldview? Is this the same corruption that Nikola Tesla ran up against which eventually stopped him? I believe the answer is a resounding yes and I think many forum members agree generally to these points. So how can we unravel these errors and break the grip it has on modern research? We must do this by pulling on the loose strings, the errors in data and conclusions made since the Renaissance at least that have set science on its current course and demonstrate for all of various levels of education where you are not required to have a PHD to understand, and logically correct them with the application of the meta-physics of the scientific method, i.e. not abandoning causality, etc. There is a good starting point for this. Dozens of key experiments over the centuries have had confusing results, when actually they were unable to detect that the Earth is in motion. Or did they really prove that it is not? Unable to consider all possibilities in an unemotional and unbiased manner has led to the current level of fantastic theories that we now have. The Big Bang Theory, what a fine theory, black body radiation of the CMBR, is all around us proving it is so. But it must be isotropic, and it is not. And it does not have enough matter to justify the gravitational behavior of galaxies, and expansion rates. So lets make up Dark Matter and Dark Energy. Its been a few decades and no sign of these yet. Hubble was dumbfounded when he witnessed the red-shift of galaxies, seemingly all flying away from the earth, and found it a "horror" to consider the obvious explanation. Thank goodness for isotropism of the Big Bang though, and the General Theory of Relativity, where the universe will be expanding away from you no matter where you are in the universe. (Don't you love Reimanian geometry? It seems more like a mental condition.) Special Relativity makes the Earth move though. And since you cannot have all the Goldilocks just-right combinations of starting conditions essential for the formation of stars and life on our planet since the odds against it are so high, we are given multiverses and 'branes, so we can have infinite universes coexisting in multiple dimensions, and of course we are one of the lucky ones with these just right conditions. Ah you only need to think and do math in 10 or 26 dimensions, too! And what did Nikola Tesla say about Einstein's work in Relativity? "It is a magnificent mathematical garb which fascinates, dazzles and makes people blind to the underlying errors"@4:25 A more sublime and succinct rebuttal cannot be made. So this is a good focal point to pull on the main thread of scientific error. Modern cosmological theory is built around the idea that smaller objects orbit larger objects in space as witnessed by Galileo when he put a telescope to the moons of Jupiter and made the generalization that it is true for all heavenly bodies. This led the Renaissance revolt in the name of science against established geocentric theories. And in order to support this theory, ad-hoc theory after ad-hoc theory has been added to buttress this philosophical bias. A GUT or a TOE, based on modern cosmological assumptions, you can rest assured is an impossibility. I intend to bring much research and new ways of examining data and experimental results to show that it is most likely true that the Earth is at the center of the universe and that Galileo was wrong. I will predominantly use these 2 sources, where this web site is the work of Dr. Robert Sungenis, and I have found the work of an awesome youtube channel of a Mr. Malcom Bowden. He seems to have access to research papers as a true academician. Here is one of his on the Science Mafia as he calls it. Robert Sungenis has teamed with scientists and producers to make two multi-million dollar movies, The Principle and Journey to the Center of the Universe. The Principle Movie was reviewed here tepidly a couple years ago. I bought the movie and found it tantalizing but it may be leaving the viewer with insufficient data. However, the Journey Movie is a 4 hour tour de force documentary with excellent graphics and all sources meticulously quoted. And of course, main stream science publications and popular tomes for public consumption of science's fantastic lores are riddled with waffle statements about the apparent equivalence of the geocentric and heliocentric reference frame. And peer reviewed publications will be heavily exploited whenever they have successfully run the gamut of the atheistic screening process, to prove this thesis as the prime contender for the most coherent view of the cosmos to date and out of antiquity. So I leave you on your own quest for now. I will bring up various experiments and historical information to review and examine error, faulty conclusions, and even deliberate manipulation to who knows conspire to deprive us all of maximum benefit of true science and clear scientific evidence of the existence of the Judeo-Christian God as described by the Bible and the Torah. Science must be freed from violations of the scientific method made on the basis of a philosophical bias, in order to move forward. Discovery of true laws of physics can only proceed when they accurately reflect empirical evidence. Last edited by sampojo; 09-17-2016 at 05:06 AM. This post will cover how a body could occupy the center of a large collection of bodies (stars), with those bodies orbiting around the center body, with that being equivalent in forces (e.g. coriollis) to the shell of bodies rotating around the center, and the concept of a geometric center vs. the center of gravity. The title of this post is an over-simplification of what actually happens. Bodies in the heavens always orbit their center of gravity. When a significantly smaller body and large body are involved as Galileo observed with the moons of Jupiter, the center of gravity is very near the the center of the larger body.. The geocentric theory is defined as the Earth is at the center of the universe. For the earth to be at the center of the universe, it needs to occupy the center of gravity. In my own research, I would generalize it to say center of forces, as I have a suspicion that a magnetic field of the universe may be at work also. However since I don't think we can even sufficiently quantify the masses of trillions of stars to determine gravitational forces, it is conjecture, but all scientific experiments over the past two centuries, often deemed failures, can and should be interpretted to prove that the Earth is motionless. (Science is finding galactic magnetic fields however. See primer field youtubes if you are curious.) There are two centers of the universe that must be worked through. They are the geometric center and the center of gravity. Geocentrism is also known as "Mach's Principle" where it is postulated that the effects attributed to a rotating earth would be the same for a stationary earth and a rotating universe. Bowden has excellent youtubes here: (Why the sun circles the Earth) and (M. Bowden, YT:Geocentricity - Satellites+Mach). Ernst Mach lived 1838-1916 and his theory is completely Non-relativistic. This paper done in 1977 has demonstrated Mach's Principle: “Gravity and Inertia in a Machian Framework” J.B. Barbour and B. Bertotti. Il Nuovo Cimento, 32B(1):1-27, 11 March 1977 and this 2013 article - "THE DYNAMICAL DESCRIPTION OF THE GEOCENTRIC UNIVERSE" , on M. Bowden's site, where a shell of stars can be constructed that balance gravitation effects in the center. We all need to recognize stellar parallax, where the diameter of Earth's so-called orbit around the Sun is used to estimate closer stellar distances using far stellar objects as essentially stationary, and measuring the closer star's shift to get a distance estimate. So how can stellar parallax work if the Earth is stationary in the center of the universe? The condition for this to occur would be that there is a geometric center where concentric shells of stars of at least the closer objects are centered around the Sun. If all are aligned around the Sun, then the masses would have to balance forces around the Earth. This is essentially the difference between a median average calculation and a weighted average. This picture below shows the graphics used in the Journey movie. In Geocentrism, this condition would arise only if there is a geometric alignment of the stars around the Sun, while the Earth would then occupy the center of forces. From the Journey movie, Dr. Sungenis found this in a modern astronomy curriculum to illustrate using the Tycho Geocentric model vs. the Copernican model. And of course the Special Theory of Relativity supports the equivalence of relative reference frames. The modern "Cosmological Principle" as referred to in the movie The Principle is based on the Copernican Model. What an act of hubris, to take the Copernican theory and assign the name of the entire science to it. It seems an act of thought control, to promote the the scientific theory as if could never change. Theories must change or else science stagnates. I believe the fallacious nature of the Cosmological Principle can be demonstrated by analyzing experimental results with an open mind. These experiments can be generalized to fall into two categories, those that actually have shown the Earth is stationary and those that show the universe is geometrically arranged in anisotropic or non-isotropic fashion, in violation of the basic tenant of the Big Bang Theory. These have to do with the map of the Cosmic Microwave Background Radiation (CMBR) and the Sloan Digital Sky Survey. The anisotropies are strange in that the have surprising symmetries. They have given one of them a nice obtuse name, i.e. quantized red-shift. I will let you cogitate on that one for awhile! First Arago early in the 19th century attempted to use focus of a telescope to detect the Earth's motion. Reasoning that if he would observe a star for an entire year, it would come to a point where the telescope would have to be refocused as the Earth went from the closest point of approach to the farthest distance from the star in its orbit. But he found he never had to refocus his telescope. Airy's experiment, 1871, took advantage of light moving slower thru glass and water than air. He set up 2 telescopes side by side. If the Earth was moving, the telescope with water would have to be tilted more as light moving slower in the water would take longer to traverse the telescope length. Tilting it accordingly would prevent the light from striking the side of the telescope. Here is an illustration of this point with a person who is moving in the rain, who must tilt the umbrella to keep the rain from getting him wet. However no tilt was needed. His experiment, since it could not detect the obvious smaller object motion around the larger of the Earth orbit of the Copernican principle, was called Airy's Failure. The underline in the picture of the publication itself states: "Briefly, everything occurs as if the Earth were at rest, and the relative rays were the absolute rays." However, both experiments could be said to have successfully detected no motion in the Earth. But if it actually detected the true motionlessness of the Earth, it is no failure at all. The naming of Airys experiment, "Airy's Failure" exhibits the bias in the scientific community coming out of the Rennaissance period It is related to Galileo's findings, and willingness to overthrow scientific method based on an philosophical bias, using the struggles between Galileo and the Catholic Church to pillory a an experimnental finding which could even be potentially construed to support the Bible's creation story. Galileo before his death came to recognize the wisdom in the religion and recanted the philosophical implications of his early deductions. That reconciliation looks very wise. Michelson had a vision to detect the absolute motion of the Earth using light. The theory of light propagation depends on what was known about the transmission of any energy in some present medium. It is based on observance of macro wave phenomenon in nature. We understand how sound is transmitted in water, air, and solids. We can see how energy is transmitted in waves when a stone is dropped in a still pond. For light to transmit energy in a vacuum, it was a general consensus that a medium must be present. That medium was named the "aether". It was assumed to be very tiny, undetectable, and motinonless, with bodies moving frictionless thru it. As such it represented an absolute reference frame. Michelson reasoned that the velocity of a body could be added and subtracted to the velocity of light rays emitted from the body, assuming Euclidean geometry, or Galilean Relativity, applies. In order to detect this, he invented the interferometer. To improve performance, light bounced up and down the legs of the device several times. The goal was to detect the Earth's velocity in the ether, or an absolute reference frame. Assuming the Earth's motion around the Sun, testing was done at 6 month intervals to get a relative speed difference between the two. This picture from the Journey Movie draws all the elements together. Morely joined him improving the device and completed the experiment in 1887. Lorentz at least tried to explain the length contraction as forced by ether pressure. But this is contradictory to simple observations of objects in motion tend to stay in motion thru the ether, and therefore must be frictionless, But as the rise of quantum mechanics took hold, we have learned now of the quantum void, quantum vacuum, quantum foam and the zero point energy field, where one cup of normal vacuum of space contains enough energy to boil all the water off the face of the Earth several times over. They actually had to give it another name kowtowing to Special Relativity taking it away. But this is the ether by any other name, and it is back, make no mistake. They figure that the size of an ether particle is 10 to the -33 cm, a Planck distance. With nuclei and electrons at 10 to -13, this object is still 20 orders of magnitude smaller. You can only imagine the particles of course can pass thru matter as we know it quite easily, as if we are a ghost to it. Last edited by sampojo; 11-05-2017 at 02:50 AM. And the speed of light is a constant in any reference frame. (NOT). In 1913 Sagnac used interferometry like Michelson but on a rotating platform, trying to detect the rotation of the earth. What his results showed was that when light emitted in opposite directions on a platform in motion, it does NOT travel at the same speed. This is what is known as the Sagnac Effect. This of course is common sense Newtonian mechanics. Isn't it odd that what is common sense intuition had to be given the title of an "effect" after Einstein's Special Relativity theory had taken hold? According to Einstein light must travel at the same speed, c, regardless of reference frame. GPS is a rotating real-life example of the Sagnac experiment. What does it say, Relativity or not? GPS, I understand, comes down on the side of Sagnac, and has built in corrections, essentially v+c, and v-c, simple Euclidean vector geometry. I think when relativists claim the Sagnac Effect proves relativity, I have read explanations that seems to delve into time synchronization in multiple reference frames. This I believe is going down the same path as the Twin Paradox argument. This is a "relatively" simple thought experiment, which should have, in a sane world, immediately debunked Relativity, as explained in M. Bowden's link below at 2m. They also talk about light moving in "spiral" path, causing this effect, since the satellites are in orbit. Sorry, not buying that one. The Sagnac Effect proves the existence of the ether, the absolute reference frame of the universe. Special Relativity completely throws out the ether, but General Relativity kind of brings it back as the space-time continuum, in a veiled contradiction(Ref: The Journey Movie). Now, you may have heard of the quantum void, or zero point energy. In order to do good science, Quantum mechanics had to sneak back the ether by another name, due to the elevation of Einstein to cult status in physics. Here is a good web site on the Sagnac Effect. Also the Relativity Fraud by M Bowden covers how the Sagnac Effect debunks Relativity at 14m, along with many other experiments, and shows comments of renowned scientists of Einstein's time, about how science had departed from its search for the truth by adopting Relativity. In the JTTCOTU movie, a nice animated graphic shows that the corrections to the GPS systems are directly attributable to the Sagnac Effect with the emitted and returned waves being depicted at different speeds. Here is a snapshot. 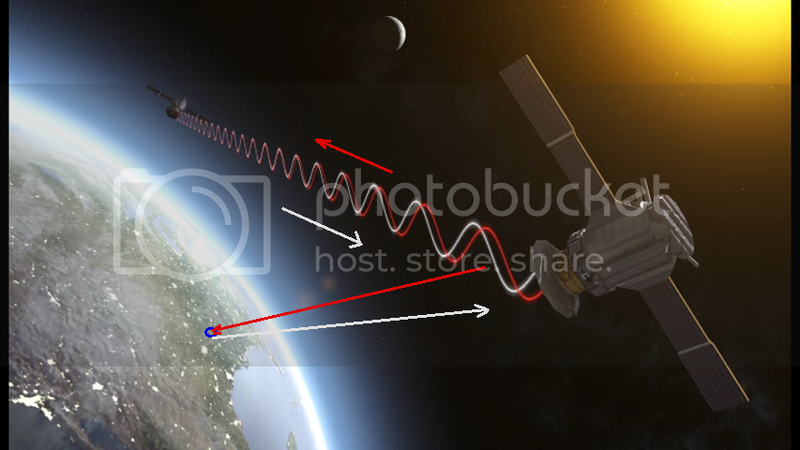 It shows communication between 2 satellites, while talking about an adjustment that must occur between the satellite and a ground receiver, since we are talking about the difference between emitters based on the E-W rotation of the Earth. This appears to be a slight error in the movie. For that end I have made a correction to the snapped graphic from the movie with the red and white arrows to a ground receiver. Michelson-Gale was conducted in 1925 and will be evaluated next. Last edited by sampojo; 07-10-2016 at 03:41 AM. 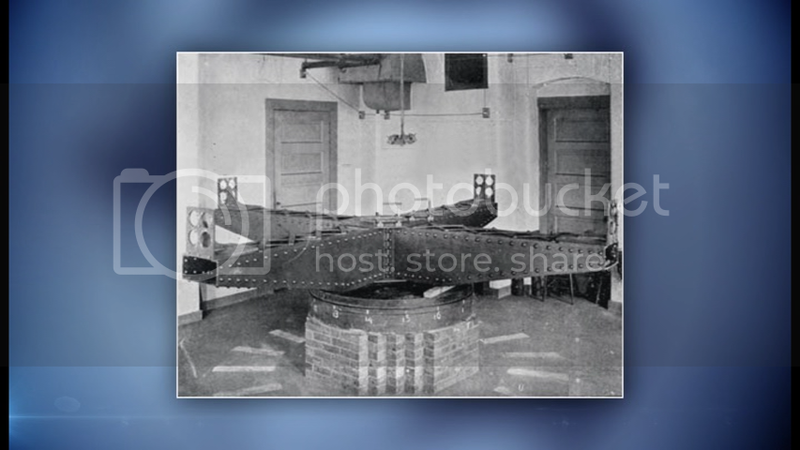 The experiment was designed to specifically measure the rotation of the earth relative to the ether. It found that there is a rotational speed difference between the earth and the ether and that it was within 97.5% of the speed that gives us day and night. More to follow. Last edited by sampojo; 06-24-2016 at 03:21 AM. So this ether that is hypothesized as the transmission medium of light was seemingly found by Sagnac. Quantum mechanics has sized the particles of ether (quantum foam, quantum void, zero point energy) at one planck distance, or 10exp-33 m in size or 20 orders of magnitude smaller than known particle sizes. You can see that it is no wonder that they can pass thru matter without interaction as they must since objects in motion tend to stay in motion as one of Newton's findings. But Tesla explains gravity as simply a change in ether's pressure between objects as those that pass through matter exit the mass at a lower value. Hence this change in pressure is felt as a longitudinal wave by other masses and the higher pressure ether on the opposite alignment with other objects push objects together as gravity. I think I saw it on the internet somewhere that Tesla had shown that these waves travel some 20% faster than the speed of light. Remember that if all Einstein Relativity is a fraud, then there is of course no limitation to things travelling faster than the speed of light. Last edited by sampojo; 07-01-2016 at 01:53 AM. And so the theories of relativity come up with the almighty CS, or Co-ordinate System, where the relative speeds are the sole determinant of an objects length, weight, etc. and it is just the way it is, no explanation of causality needed, all to explain away any possible idea of the existence of one absolute reference frame. We live in a world defined by matter, and take for granted notions of absolute reality to make decisions about survival. Someone comes along and says this whole notion of reality is untrue, and a world-wide team pf protagonists develop to propagate this point of view since they like the philosopical bias against it. They seriously want you to believe in a surreal, unanchored, mind-bending view of reality, things bending, shrinking and growing, getting heavier simply due to motion, to support it, and teach it as science, in defiance of common sense. 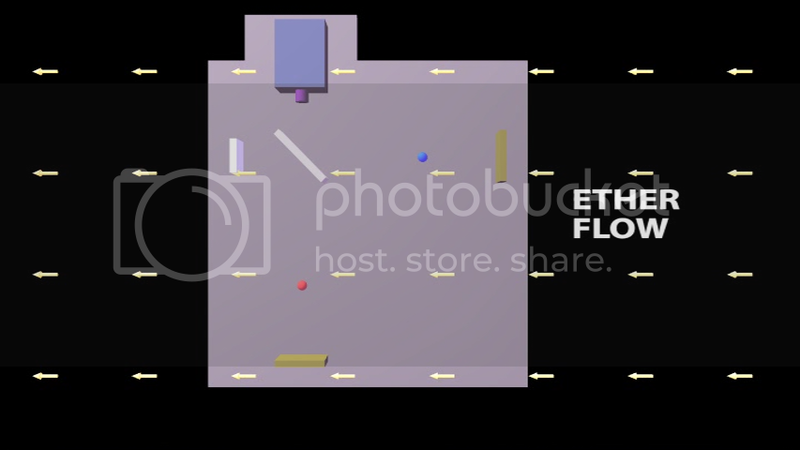 Besides using the ether, this invisible substance, are there other ways to base calculations on an absolute reference frame? And the answer is of course unless you are stuck in a relative frame of mind. To this end the cosmic background radiation, quantized red shifts and the sloan digital sky survey must be analyzed for their contribution to the big picture universe. Last edited by sampojo; 07-12-2016 at 12:28 PM. Stephen J Crothers has deduced that the CMBR is Earth proximal (from Earth's atmospheric water vapor), that the validity of Planck's constant value is weak and suspiciously obtained, and Kirchoff's law as applied to black body radiation is no law at all. This is how Planck derives his h constant and may be striking at the heart of quantum theory too. Black body radiation applied to gases is a fundamental flaw of CMBR theory of the Big Bang. The big bang, cosmology's primary theory of the origin of the universe is as bad and false as Einsteins theories of Relativity. Details soon... Modern physics and cosmology are looking very sick. Check him out on youtube: Stephen Crothers destroys black holes and General Relativity and many more on the CMBR etc. He says the microwave shielding on earth's side for COBE, WMAP and Planck satellites cannot and did not shield the satellites from earth-based microwave radiation from water vapor. If so, what a boondoggle by NASA and European space agencies. And all the research at all the colleges and universities are a waste and nothing more than a con operation to funnel tax dollars to those that support the agenda. And all those "great" astrophysicists who love to get their mug on TV and drone on and on about the big bang, just think either dupe, fraud or con. Last edited by sampojo; 09-16-2016 at 08:13 PM. yes, i like the guy to, makes a lot of sense. yes! einstein the plagiarist fraud. Sloan Digital Sky Survey and Quantized Red Shift. Location: I dont live any where, I am travelling. The Andromeda galaxy is headed directly for our milky way, it is apparently about twice the mass of the milky way. In 4 billion years time, we are screwed. Even if the sun does not run out of fuel and destroy the earth. All the galaxies are accelerating at different speeds, and unfortunately Andromeda is not pulling away . Check out Dr. Philip Stott, Geocentricity: Where are we in the Universe? He covers the Sloan Digital Sky Survey. Atoms consume aether at a constant rate that varies depending on the element. Gravity is the movement of atoms from a high-pressure zone of aether to a low-pressure zone. Magnetic fields as well as the positions of the moon, sun & other large bodies with gravitational fields strong enough to affect earth will produce measurable changes in the pressure & direction of the flow of aether/gravity. The speed of light changes depending on the density of the medium it travels through, just like sound. If Michelson & Morely had tested the speed of light every hour in a day for a month rather than once every six months, they would have understood why geocentrism is wrong. Last edited by Dingus; 12-15-2016 at 03:19 AM. What's the connection? Sagnac in 1913 essentially disproved SR. He had no restriction on the time at which he conducted tests, detecting only a rotational velocity difference between the earth and the ether, not a translational motion, while Michelson-Gale in 1925 verified the Sidereal difference in rotational velocity, probably taking measurements every 12 hours. Last edited by sampojo; 03-25-2017 at 06:52 AM. This works on the simplicity of only having to pay the small amount of electricity, (massive voltage + only one spark of current) for the one single rotation of a DC motor with a large 100 cm circumference pulley attached. Then you take the 100 cm of moving belt, that comes from the one rotation of your 100 cm circumference pulley, and run it past 10 of the 1 cm circumference pulleys. This would multiply your # of rotations to 10 X 100 = 1000, and if you added AC generators to these 10 mini-pulleys you would gain a total of 1000 cycles of AC electricity. These AC generators would run free of most any torque, as they are just winding up massive voltage,(which is what you need to crank over your DC motor=electrical pressure) as the only current that they need to generate is the one spark, or practically zero. You only need to generate one spark of current, because that is how much current that it takes to rotate your DC motor, with the 100 cm circumference pulley one single time. Of course you would also need 10 full wave bridge rectifiers, (4 diodes each) to convert your AC outputs back into your DC input. This is so simple that it just has to work. of moving belt Then, if you run this 100 cm of belt past 10 of these free running 1 cm circumference mini pulleys you would get 10 X 100 = 1000 rotations. you would gain a total of 1000 cycles of AC electricity. is still equal to practically zero. "Not only will each celestial object be held in place by this equation, light itself will also obey this equation. In the geocentric Universe light can assume any speed since (a) limitations to light speed do not apply to rotating frames, and (b) inertial forces can accelerate or decelerate light’s speed." Ok, you've planted the hook. Sagnac and Michelson Gale showed that the earth and the ether have a rotational velocity difference, which verifies interferometery works and that Michelson-Morely detected a nominal null value for translational velocity of the Earth around the sun or through the ether, making the conclusion that the earth is in the center of the universe plausible. Not familiar with the details of the data collection in those two experiments, I assume it may be similar to what you have proposed. It is understandable conclusion from those two experiments that ether is either rotating around a stationary earth at the rate of one day, or the earth is spinning at that rate. Can you offer more explanation about what you are saying?